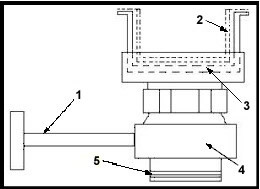 T-bar spindle arm attached a butterfly valve. 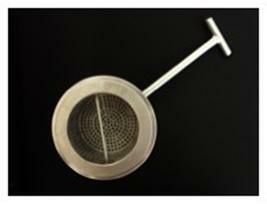 Removable stainless steel mesh basket. Butterfly valve within, which also acts as a stopper. Connection to 2 inch PVC or copper trap. Diagram shown above is not to scale. The Everbright SA-001 is manufactured using grade 304 stainless steel. The physical properties of grade 304 stainless steel mean that it can withstand harsh environments and durable. The Everbright SA-001 can be installed into any pre-existing or new commercial kitchen sink by a licenced plumber. The Everbright SA-001 requires little or no maintenance if installed properly. The usuage of the primary steel mesh basket is optional but is highly recommended for easier access to remove debris, and regular emptying of the mesh basket is encouraged to prevent any blockages. In rare circumstances, if water leakage through the butterfly valve is observed, the rubber ring within the butterfly valve is likely to be damaged, however it is envisaged that it will become available at plumbing stores in the future. The Everbright SA-001 was specifically designed to be user-friendly and effective in its application to filter out food solids and debris from entering the trade waste system. The handle bar attached to the butterfly valve is a T-bar spindle rather than a circular turning tap as it is physically easier to operate and prevents slipping of hand grip. The sizeable diameter of SA-001 chamber makes it more convenient for kitchen staff to remove the basket for emptying; or should the kitchen staff forget to replace, or choose not to use the removable basket, the diameter is sufficient for a hand to reach in to remove the debris. The height of SA-001 is kept at minimal to allow easy access to the T-bar spindle arm and to reduce obstruction that may occur during regular floor cleaning.